Shorter and wider surfboard that will fit in your quiver in between a Black Punt and White Diamond 2. 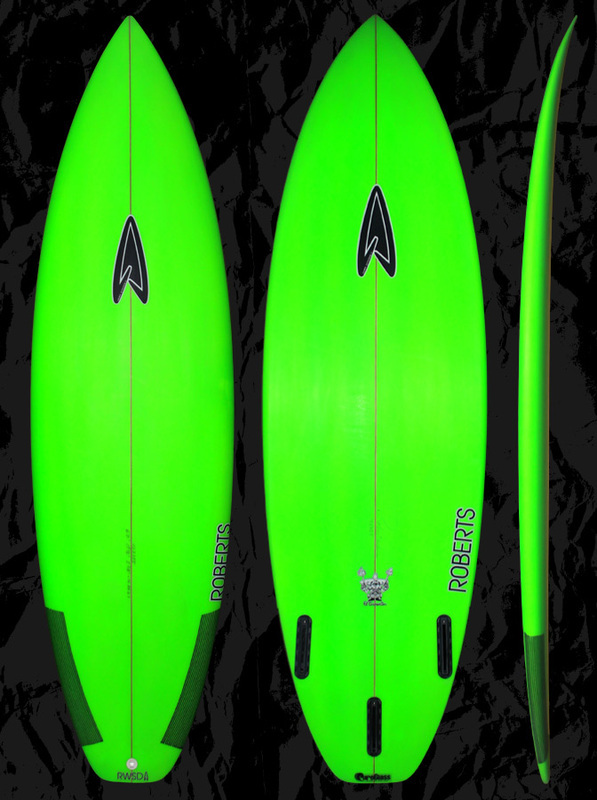 ​For everyday surfing, works great in small to medium sized beach breaks and point breaks. Low rocker throughout with a small amount of entry rocker and flip out of the tail. Great for maintaining speed through the flat spots while keeping control in hard turns in critical sections. Medium for stability and float with tucked hard edges for speed and holding power. Single to double concave out the tail. Tri fin is standard. Also works well as a quad. Five fin convertible is a great option. Knee high to a foot or two over head. Same thickness but 1" longer & 3/8" narrower than a WD, WD2 or similar. Comparing to a pro model shortboard go 1-4" shorter, 5/8" wider and same thickness. For a high performance approach and based on your height, aim for about the same length to as much as 3” shorter as you are tall, matching volume to skill level, needs, or preferences. Up in volume and at your height or beyond for additional stability and wave catching ease.